Enterprise customers who deal with enterprise communications face several common challenges. Many firms want to deploy UC endpoint devices to avoid expensive traditional system and to unify their communications into one system. At the same time, inappropriate deployment and management tools for the deployment of UC endpoint devices systems can lead to unplanned costs and a steep learning curve. Because nobody wants an administrative nightmare, simple and efficient provisioning and management of UC endpoint devices is a key concern for any company’s information technology department. 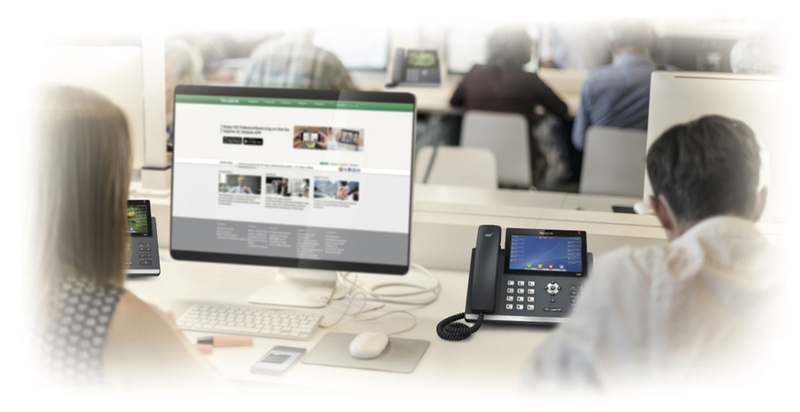 Yealink’s powerful GUI-driven Device Management Platform delivers a comprehensive set of tools for implementing up to 20,000 Yealink video and voice communication endpoint devices. The platform is capable of solving the complexities of provisioning, management, call quality control and troubleshooting. The solution allows system-wide oversight and has the ability to drill down into specific needs for various regions, user groups or even a particular device model. 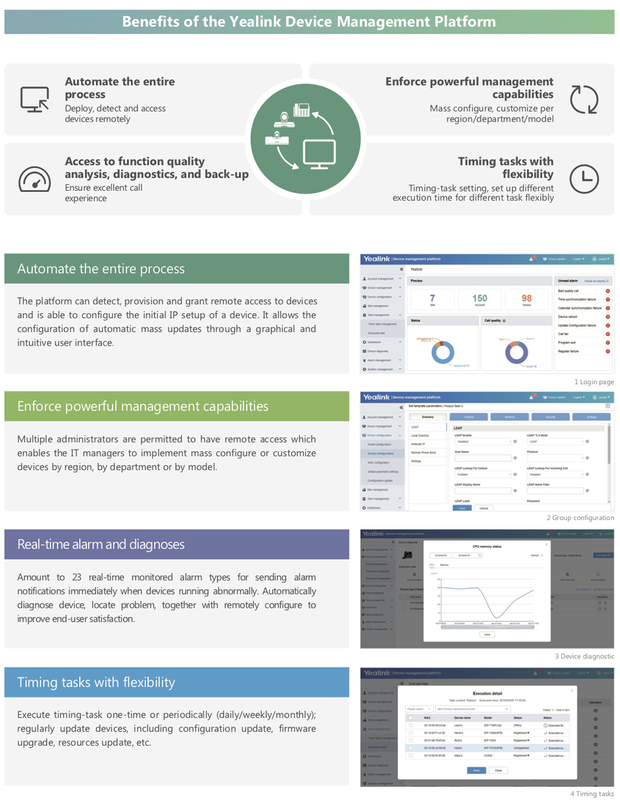 The Yealink Device Management Platform offers comprehensive management control and tracking while delivers a host of capabilities and integrated functionality to efficiently reduce the cost of operation and maintenance of a company. The system also enhances the user experience and increases user adoption rates while consolidating customers under one management platform. For more information or testing, please contact sales@Yealink.com.